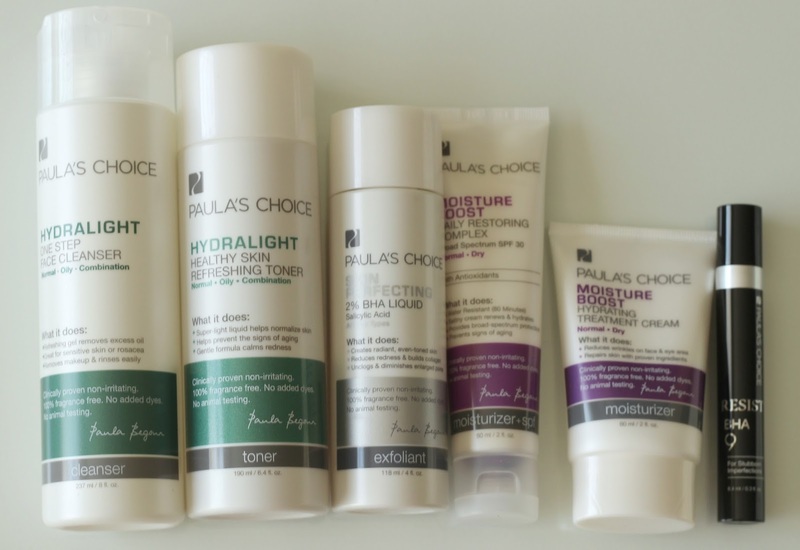 Paula's Choice* is one of those brands that has appealed to me ever since I came across reviews on their line years ago. I kept hearing how amazing their products are, especially regarding their skincare, so when the opportunity arose to try out their range, I, of course, could not turn it down! What I really appreciate is that Paula's Choice is there to help you build your own customized skin regimen suited for your specific skin type and concerns following a free personal skincare consultation which is just a phone call away. Keep reading to find out how you can save on their products, too! 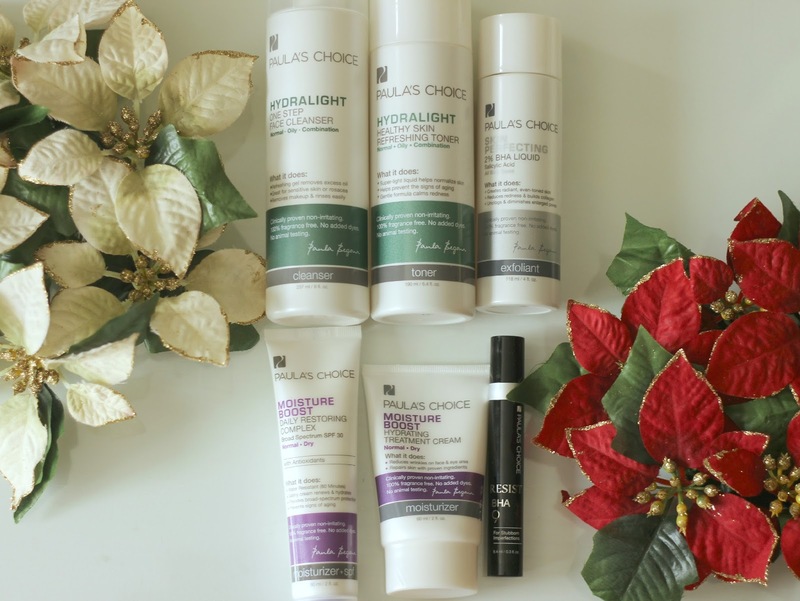 After chatting with a Paula's Choice consultant and letting her know I deal with combination skin that is currently on the drier side and prone to breakouts and scarring, I was assigned six products on my journey to better skin. I was informed that all of their products are fragrance and cruelty-free and do not contain any dyes to ensure they are non-irritating. My consultant explained the order in which the products should be used and went over the best way to apply each one. I received a cleanser, toner, exfoliant, day and night moisturizer and spot treatment in the mail a few days later. My routine goes as follows: I start my morning and night routine with the Hydralight One Step Face Cleanser*. It has a gel consistency and doubles as a makeup remover, leaving my skin looking clean and feeling refreshed. If you deal with a lot of redness and have sensitive skin like me, this one is super gentle. I can even let it sit for a while since it does not leave a burning sensation like others I've tried in the past that I rush to rinse off. I follow up with the Hydralight Healthy Skin Refreshing Toner* which helps get rid of any leftover makeup and impurities. The dispenser lets you control how much liquid comes out which is really nice. I apply it using half of a cotton pad and wipe it across my face, avoiding my eyes. It has a very cooling sensation and almost immediately calms my facial redness which is just incredible. Next, I apply the Skin Perfecting 2% BHA Liquid* using the other half of my cotton pad. I've read so many rave reviews on this leave-on exfoliant which penetrates deeper into the skin to reduce redness and shrink pores all while giving a radiant glow to my face and neck. This stuff is seriously amazing! The results are visible within seconds of applying and I love how luminous my skin looks afterwards. This one is hands down my favourite from the bunch. For extra hydration throughout the day without that thick and greasy feeling, I've been using the Moisture Boost Daily Restoring Complex with SPF 30*. This water-resistant light cream contains antioxidants and soothing aloe vera juice leaving my skin nicely quenched. It does not have a heavy sunscreen scent, which is greatly appreciated. Prior to applying my night moisturizer, I will use a tiny amount of the Resist BHA 9 Treatment* on active breakouts or scarred areas. This contains 9% salicylic acid to speed up the healing of stubborn imperfections and visibly reduces redness, large pores and wrinkles. This literally zaps zits overnight and the next morning any bumps are gone. Love this stuff. On days when I don't step out of the house as well as every night, I apply the Moisture Boost Hydrating Treatment Cream* all over my face, neck and eye area. I like that it is so hydrating yet is still very light and sinks in quickly. Definitely one of the best face creams I've tried. Don't know which products to get? No worries! You can book your free personal skin consultation with Paula's Choice by calling 1-800-831-4088. They offer a 60-day 100% money back guarantee on any order. Have you tried anything from Paula's Choice? Let me know in the comments below! Disclaimer: This post was sponsored by Paula's Choice. Some affiliate links provided. Amazing review! My mom had a few of her products at one point and really liked them. I LOVE the sound of the Skin Perfecting BHA liquid toner! At Aveda we had the same type of product but it was just called "Liquid Exfoliant" and I used up my huge, store-use size bottle! Haha. I love that they do the over the phone consultation, how great! I really will have to check this out after I get through the holidays (even though the promo code is hard to pass up)! Awesome review, thanks so much for sharing! I've never tried the brand but I should because it's so talked about everywhere ! Thank you for sharing your routine with us ! I've never tried. Thanks for sharing with us. Fall 2015 Empties | Products I've Used Up!